Portland State University and Comic Book Legal Defense Fund are joining forces with a week of special events to celebrate the hundredth birthday of Will Eisner, the legendary cartoonist whose influence defined the contours and possibilities of American comics in his lifetime and beyond! Will Eisner Week is an annual celebration around the week of March 6th, every year. It celebrates “graphic novels, literacy, free speech awareness, and the legacy of Will Eisner.” Eisner is best known for championing the development of the graphic novel as a literary form, and for creating The Spirit, the iconic 1940s hero that redefined newspaper comics. However, Eisner’s achievements stretch even further. In celebration of Eisner’s centennial, Will Eisner Week engages with his legacy for a week of thought-provoking events on the PSU campus. Like Disney, Tezuka, Hergé, and other 20th Century masters, Will Eisner’s influential body of work is marred by the use of stereotypes in his images and writing, most notably through the Spirit character Ebony White. In his later career, Eisner acknowledged Ebony’s problematic characteristics and created work that fought stereotypes, most especially as applied to Judaism in The Plot. Join panelists Barry Deutsch, Jemiah Jefferson, and David Walker for a discussion of how to engage with 20th Century images, stereotypes, and storytelling for 21st Century audiences. Moderated by CBLDF Executive Director and Eisner/Miller author Charles Brownstein. This award-winning full-length feature film is the definitive documentary on the life and art of Will Eisner, father of the graphic novel, and includes interviews with Kurt Vonnegut, Michael Chabon, Jules Feiffer, and Frank Miller, among others. The documentary will be followed by a discussion between Marvel Comics best-selling writer Brian Michael Bendis and Eisner’s former Dark Horse editor Diana Schutz. Will Eisner lived a life of constant innovation. At the age of 22, with war on the horizon, he walked away from a lucrative partnership at the Eisner and Iger studio to develop a new kind of comic book—the newspaper comic book supplement—and the first creator-owned business model in comics. In the 1950s and ’60s, when comics were vilified in mass culture, he used the medium to create educational tools for military and industrial clients. In late life, he championed the graphic novel at a time when the idea of serious adult fiction in comics was laughably unlikely. Panelists Jim Valentino, Diana Schutz, and Dan Schkade are joined by moderator Charles Brownstein to discuss Eisner’s rebellious creativity and consider how his example is relevant today. Brian Michael Bendis is an award-winning comics creator, New York Times bestseller, and one of the most successful writers working in mainstream comics. For the last fifteen years, Brian’s books have consistently sat on the top of the nationwide comic and graphic novel sales charts. Brian has won five Eisner awards, including “Best Writer of the Year” two years in a row and was honored with the prestigious Inkpot award for comic art excellence. Brian is the recipient of the Cleveland Press “Excellence in Journalism” Award and was named “Best Writer of the Year” by Wizard Magazine and Comics Buyer’s Guide for three consecutive years. Charles Brownstein has served as the Executive Director of the Comic Book Legal Defense Fund since 2002. 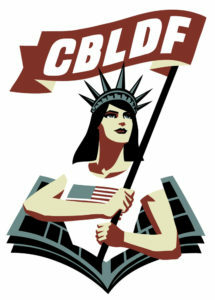 During his tenure the organization has achieved numerous legal victories, been cited by the U.S. Supreme Court, and has become the leading source of education and advocacy for combating the rising tide of comics censorship in libraries and schools. Brownstein is a prolific and sought-out lecturer on the history of comics and censorship who has addressed audiences across the United States, as well as in Canada, Japan, Lebanon, Norway, and the United Kingdom. In addition to his work at CBLDF, he also writes extensively about comics; his publications include Eisner/Miller, The Oddly Compelling Art of Denis Kitchen, and Monsters & Titans: Battling Boy Art on Tour. Barry Deutsch’s best-known creation is the Oregon Book Award-winning Hereville series of graphic novels, about “yet another troll-fighting 11-year-old Orthodox Jewish girl.” With co-creator Becky Hawkins, he also creates the webcomic SuperButch, about a lesbian superhero in the 1940s. His political cartoons have appeared in dozens of publications and won the Charles Schulz Award. Barry had the good fortune to study under Will Eisner at the School of Visual Arts in New York City. He currently lives in Portland, in a bright blue house with bubble-gum pink trim. 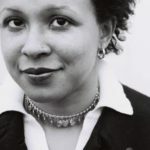 Jemiah Jefferson is an editor at Dark Horse Comics where she works mostly on European and manga titles as well as archival reprints of classic comics including Flash Gordon, Herbie, Captain Midnight, and Creepy.She is also a multiply published fiction writer whose titles include Voice of the Blood, Wounds, Fiend, and A Drop of Scarlet. She is an avid fan of genre movies and television, especially anything having to do with superheroes. Dan Schkade is a freelance comic book writer and artist from Austin, Texas. 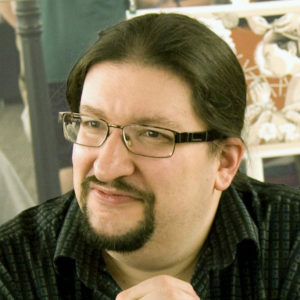 His credits include Will Eisner’s The Spirit, Battlestar Galactica: Gods and Monsters, San Hannibal, and The Fowl. He lives in Portland, Oregon, where he is a member of the comics creator collective Helioscope. Diana Schutz’s efforts as editor, writer, educator, and staunch supporter of creators’ rights have made her a venerable icon in the industry. 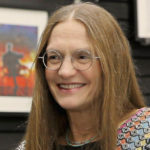 She made immense strides not only in opening the mainstream comics world to independent, creator-owned works, but also opening the doors for women to work in positions of power. From her editorial work on acclaimed series like Sin City, Grendel, and Usagi Yojimbo, to her close relationships with other icons like Will Eisner, Neil Gaiman, and Frank Miller, Schutz has helped shape the modern era of comics for almost four decades and has laid the foundation for its future. Jim Valentino started his career in the late 1970s creating small-press, self-published comics, graduating to small-press acclaim with the superhero parody normalman and the autobiographical series Valentino. After a stint as a storyboard artist for various animation features, he returned to comics in the late 1980s, creating the era-defining run on Guardians of the Galaxy for Marvel. Valentino is best known as a founding partner of Image Comics, where he created the series ShadowHawk, served as publisher from 1999-2004, and continues to publish innovative creators under his Shadowline imprint. 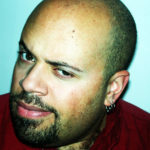 David F. Walker is an award-winning comic book writer, author, filmmaker, journalist, and educator. 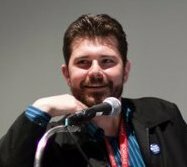 His work in comic books includes Shaft (Dynamite Entertainment)—winner of the 2015 Glyph Award for Story of the Year—Power Man and Iron Fist, Nighthawk, Luke Cage, Occupy Avengers, Deadpool (Marvel Comics), Cyborg (DC Comics), The Army of Dr. Moreau (IDW/Monkeybrain Comics), and Number 13 (Dark Horse Comics). He is also the creator of the critically acclaimed YA series The Adventures of Darius Logan. He teaches part-time at Portland State University.